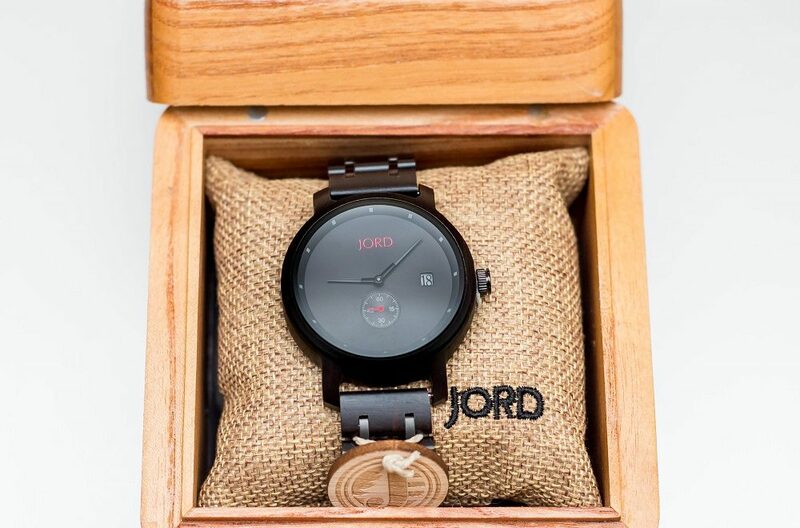 Giveaway: I Partnered with JORD Wood Watches!! A few weeks ago, I logged into my customer account and checked my pending orders; the wristwatch, which I had ordered four weeks back, was yet to arrive. For a minute, I panicked. Now, this is a true story! Prior to that, I had never had any reasons whatsoever to request a refund or start a dispute, so I wasn’t sure what to expect. For privacy reasons, I’ll withhold the name of this international company. Also, I’ve had quite a lot of positive shopping experiences with this company, so no hard feelings. Anyway, I checked the protection warranty that I had and noticed that time had lapsed with no delivery of the wristwatch. The truth is, I can be so indecisive, so it took me about three days to make up my mind on the watch I wanted and now, I wasn’t going to receive it. Somewhat downcast, I claimed a dispute and requested a refund since it was already past the anticipated arrival date and warranty period. The company explained that there was an issue with customs and apologized. My money was refunded in full, but I wasn’t pleased— bad purchase experience. So you can imagine my joy and excitement when two days after, I received an email from JORD Wood Watches asking me to collaborate and host a giveaway on their Fall 2017 campaign. 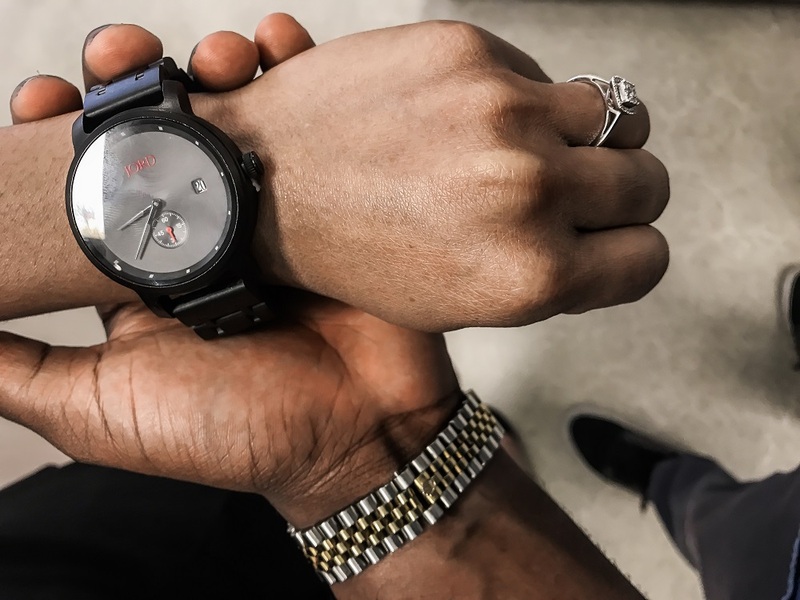 I was glad to come on board not only because I was going to receive a wristwatch myself, but also because I like the brand and have heard lovely tales of other people’s experience. I don’t take anything for coincidence generally, so I had to share. 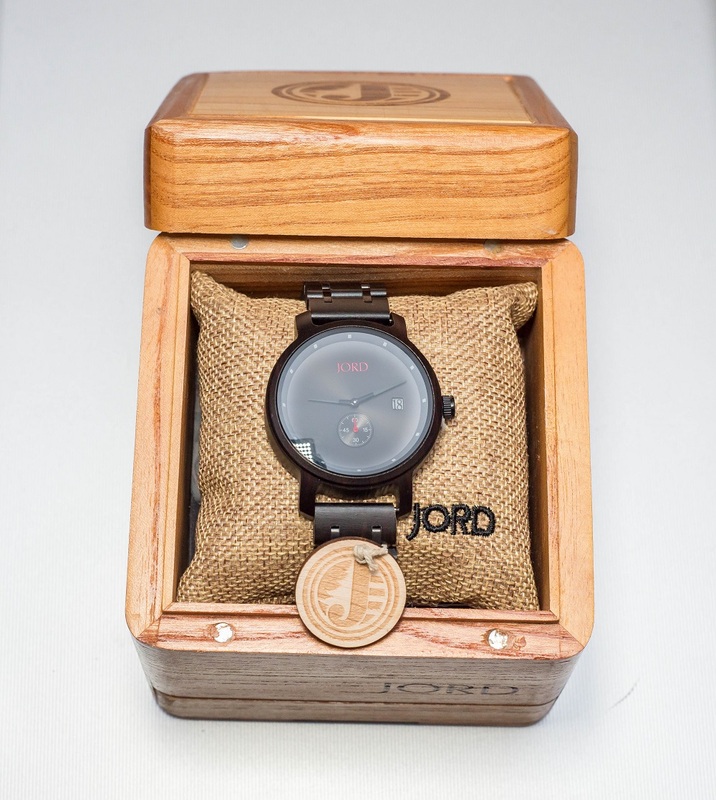 JORD Wood Watches as you must have inferred is made from 100% natural wood from across the globe. If you ask me, that’s fab! I’ve never owned a wooden watch, never even knew that those existed until I started hearing of JORD, so I was excited to have one for a change. My fiancé was also so impressed when he saw it as he couldn’t believe it was made of pure wood. I have to get him one ASAP. The delivery process was top notch. It took me only about 11 days to receive the order and the process was seamless. I could also track the delivery at every given point/ stage. 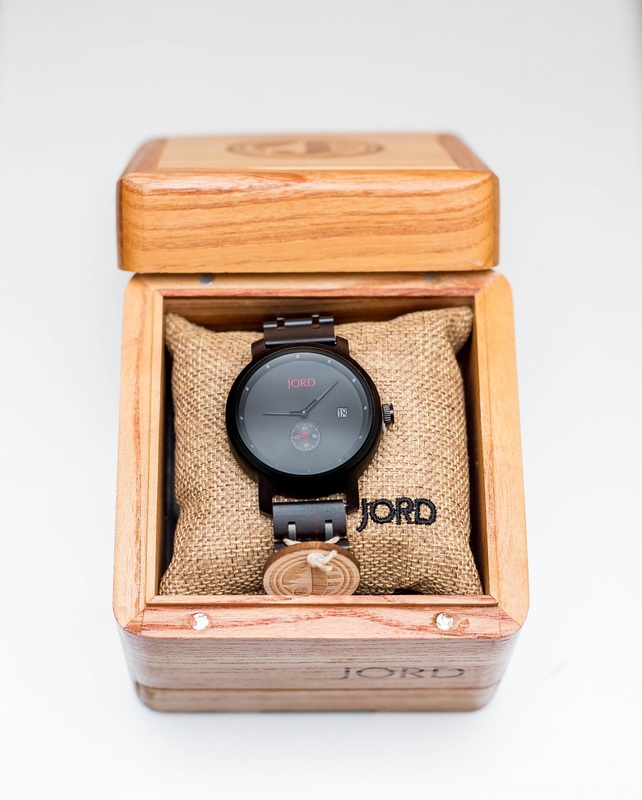 JORD offers free shipping worldwide, meaning that you can place an order for any of their classy watches anywhere. I think that’s awesome as your location shouldn’t come into the question. This brand has quite a large collection of beautiful timely pieces for both women and men. It will make the perfect gift for any one at all. Take out some time to visit these pages to view their collection for yourself. If you aren’t sure of what size to purchase, you can also make use of the wrist size guide the brand provides. JORD also provides watch sizing at an affordable fee. Don’t fret it, JORD watches can be sized by any jeweler or watch shop. There’s also the option to engrave the watch itself or the box, all at an affordable fee. And the icing is this: as workers, we’ll always need wrist watches to help us keep track of time and stay productive. It’s never a bad idea to own another pair of a wrist watch. I’m thrilled to add this to my growing collection of wristwatches. I had the opportunity to make a choice out of several options. After so much indecisiveness due to the beautiful pieces the JORD brand offers, I finally selected the Hyde- Ebony & Iron series. I liked the fact that it was simple and I also loved the color— this dark woody feel to it. I loved this wristwatch the more when it finally arrived. It’s very light and not heavy at all. The packaging was phenomenal and came with care products for the wristwatch. You should have seen me unboxing my package. 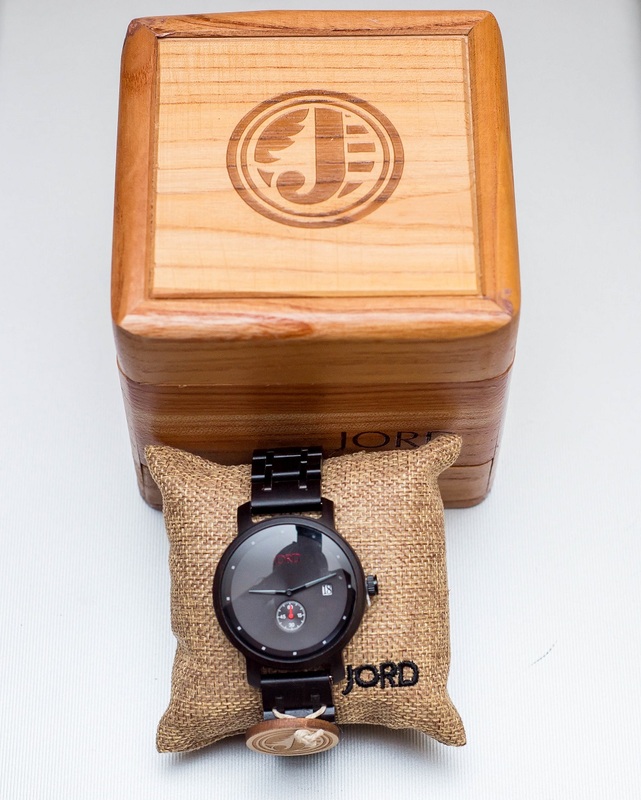 Overall, it was a beautiful experience and I’m happy to have partnered with JORD to host a giveaway because I want you all to own a wooden wristwatch. I’m excited to know that a lucky reader will win, and that’s not all, everyone is pretty much a winner in this giveaway! You’ll see why. Once you enter this giveaway, you stand the chance to win a $100 gift code to purchase any watch on the JORD website. In my last giveaway, I gave out gift cards and you all know my love for gift cards or codes. I’m so excited for this lucky winner. There will be just one winner to receive a $100 gift code; however, once you participate in this giveaway, you’ll automatically qualify to receive a consolation gift code worth $25 once the contest ends. Wow. Isn’t that awesome? What are you waiting for? Please enter the giveaway by clicking this link: MY JORD GIVEAWAY. Please note: contest ends: 10/01/2017 at 11:59 PM and giveaway codes expire: 12/31/2017. Let me know in the comment section, do you like the selection I made and what type of wristwatch will you like to win? Leave a comment behind, I love hearing back from you. For more information, visit the JORD website. Good luck guys! Don’t forget to subscribe to this blog for regular updates. No spams. *This is a collaborative post; however, all opinions are mine and this post was written by me. Oh man!!! I’m drooling for that wristwatch mehn. So so lovely. I love that it’s made of wood too, I’m pretty sure it’s super sleek and classy. Yes, Jessica. It’s so nice and I couldn’t even tell whether it was made of wood initially. It’s so nice. Don’t forget to participate in the giveaway. Have a great week ahead! P.S: your selection looks good and If I win, I’d like the Frankie selection-Zebrawood and Champagne face. I know, right?! It was no coincidence for me, such a great compensation lol. Oh, that’s a nice choice. Keeping my fingers crossed and hoping you win. All the best, dear! Me that has participated sinceee! Lol . Look at the time of my comment na. I entered fiam! Immediately. I want to win mbok. I love that wrist watch. Hope I do. Haha..lol. I hope you win! *fingers crossed* All the best! This Jord watch is so fab, love it! Also, this is an amazing giveaway hun! Thanks Carina, it’s a really beautiful watch! Thanks Jamila. Good luck and I’m hoping you win too! Too bad I just found this. The wrist watch is goals! The packaging, the look, I’m sure the feel would be even better. Aww… too bad. Do look out for future giveaways and kindly subscribe to the blog for regular updates. You happen to be my name sake so I’m dancing here lol.